Stay up to date on everything happening at ROSS Controls around the globe. Stay current by reading content on new safety information, trending industry topics, and more. ROSS Controls® is conducting a Functional Safety & Validation Seminar in association with the ISSA. This seminar will provide an overview on future international standards relevant to standardization and machine safety. ROSS Controls® is pleased to announce a New Safety Distributor in the United States, Horizon Solutions. Headquartered in Rochester, NY, Horizon Solutions will provide coverage within the states of New York, Massachusetts, Maine, New Hampshire and Vermont. 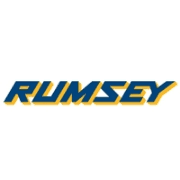 ROSS Controls® is pleased to announce a New Safety Distributor in the United States, Rumsey Electric. Headquarterd in Conshohocken, PA, Rumsey will provide coverage within the states of Delaware, Maryland, New Jersey, and Pennsylvania. ROSS Controls® is pleased to announce a new full line distributor in the United States, Skarda Equpment Company, Inc. Headquartered in Omaha, NE, Skarda will provide coverage within the states of Nebraska, Kansas, Iowa, South Dakota, Illinois, and Missouri. 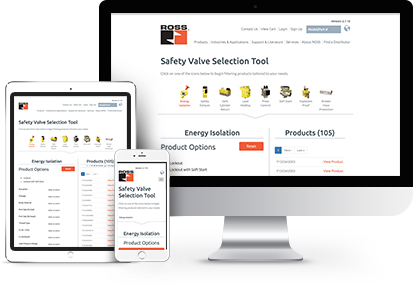 ROSS Controls® Announces New Safety Valve Selection Tool, a simplified approach to finding the best safety products to fit your application. 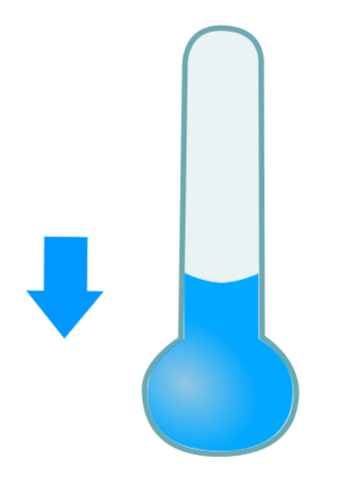 By simply selecting your criteria, product options are provided with a link for additional information such as data sheets and 3D models. Available for both desktop and mobile devices. 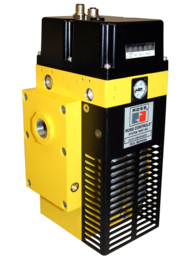 ROSS Controls® introduces its new RSe Series safety exhaust (dump) valve and safe cylinder return valve for Category-4, PL e machine guarding applications. ROSS Controls® introduces its new M35 Series safety exhaust (dump) valve for Category-4, PL e machine guarding applications. ROSS Controls® is pleased to announce a new full line distributor in Mexico, OneSource Distributors S DE RL DE CV. Headquartered in Tijuana, OneSource will provide coverage within the states of Baja California, Baja California Sur, and the city of San Luis Rios Colorado in the state of Sonora. ROSS Controls® is very pleased to announce the acquisition of the Industrial division of Automatic Valve Corp., as of September 1, 2017. ROSS Controls® is pleased to announce a new full line distributor in Mexico, ABSA Eléctrica AB, S.A. de C.V. Headquartered in Guadalajara, ABSA will provide coverage within the states of Aguascalientes, Chihuahua, Colima, Guanajuato, Jalisco, Nayarit, Sinaloa, Sonora. ROSS Controls® is pleased to introduce their latest series of air distribution devices. 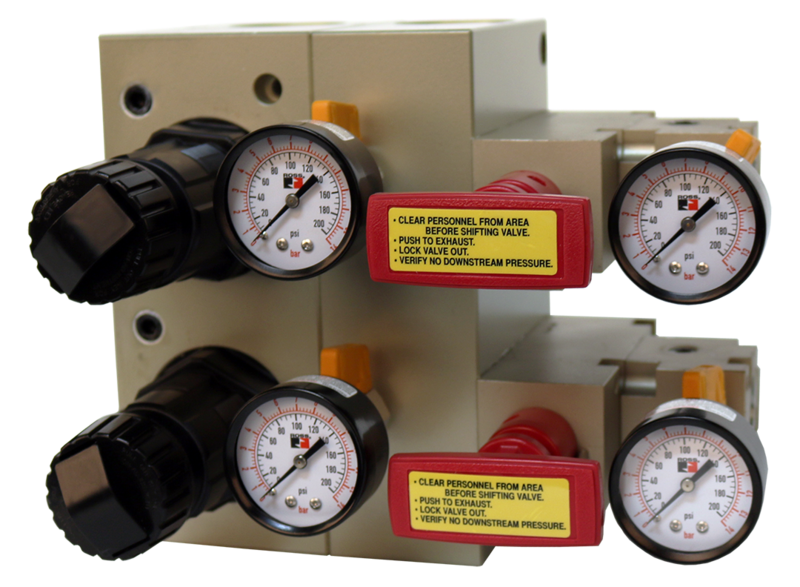 Air distribution manifolds provide individual control of machinery with multiple pneumatic circuits. 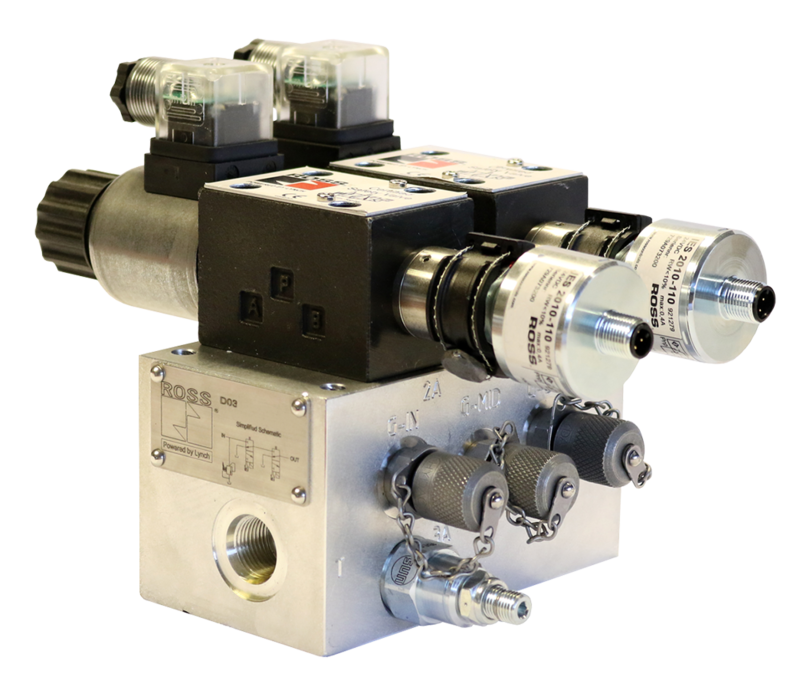 ROSS Controls® is proud to announce an expansion to the DM Valve product family, which includes the DM1 Series C Control Reliable Double Valve for air dump/safety exhaust applications. ROSS Controls® is pleased to announce their new full line distributor in Mexico, Hermos S.A. de C. V. Headquartered in Guanajuato, Hermos will be covering the States of Guanajuato, Queretaro, San Luis Potosi, and Michoacan. ROSS Controls® is pleased to announce their new full line distributor in Mexico, RISOUL Y CIA, S.A. de C.V. Headquartered in Monterrey, Risoul has 22 branch offices throughout Mexico. Please visit www.risoul.com.mx. ROSS Controls® opens in CANADA! ROSS Controls is pleased to announce the opening of ROSS Canada. Located in Barrie, Ontario; ROSS Canada will support the growing customer base from coast to coast and will bring a stronger presence to the Canadian market. ROSS Canada looks forward to working with its channel partners and any inquiries can be directed to sales@rosscanada.com or by dialing 416-251-ROSS (7677). ROSS announces their CrossMirror® Series CM Size 0 valves are now BG Certified per the DIN ES ISO 138491 PL e standard. These valves are intended to be used to return a cylinder towards a safe position when de-energized or when a fault occurs. Applications could include pneumatic cylinder presses, welding equipment, and pneumatic doors to name a few. 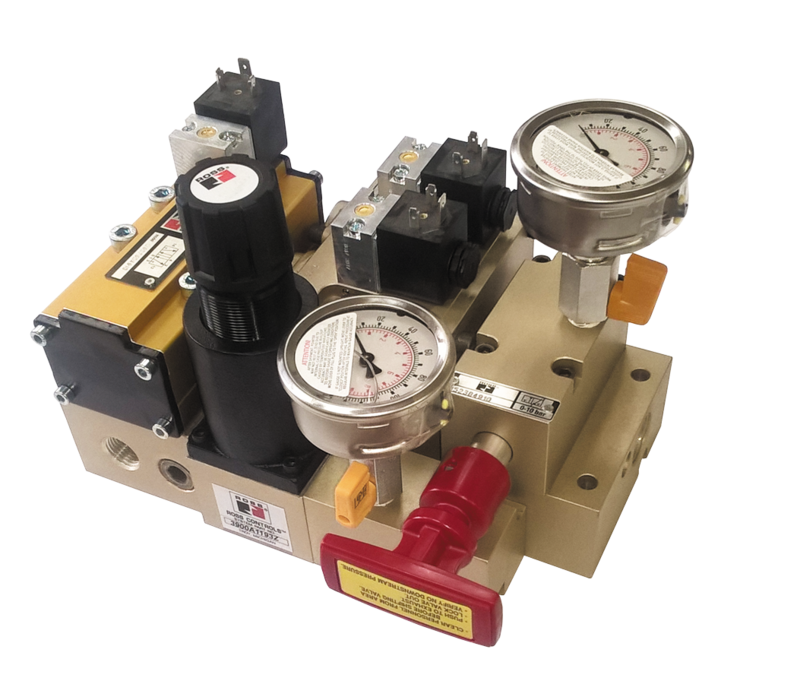 ROSS Controls, Troy MI, introduces an expansion to its existing DM Valve Series for Air Dump / Release applications. The ROSS DM1 Series C Valve is a Control Reliable Double Valve with dynamic monitoring that can be used in Category 4 PL e applications that do not require dynamic memory. 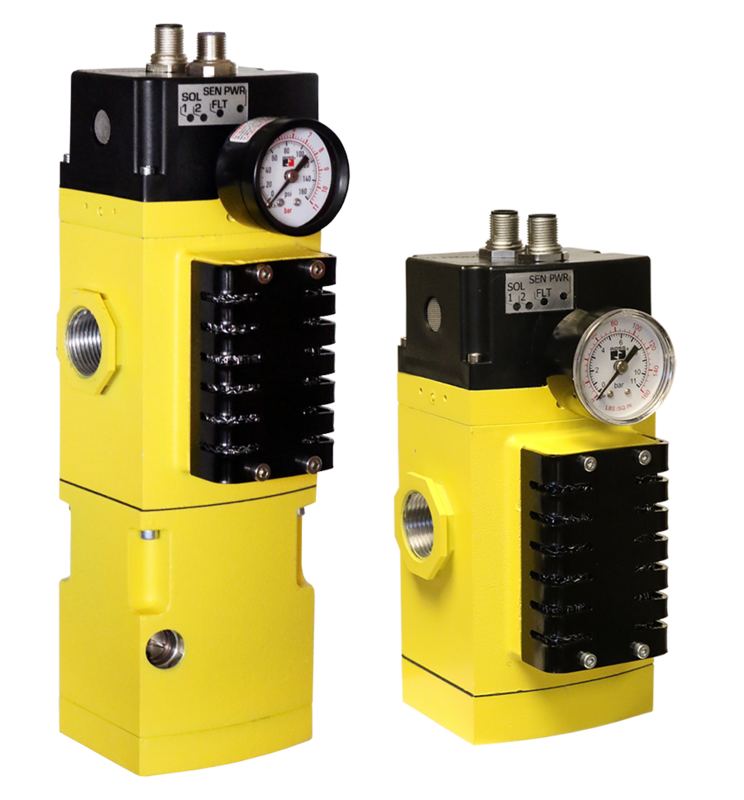 The DM1 Series C Valve is available in port sizes ranging from ½” – 1” and is base mounted for convenience. ROSS announces their M DM2® Series C valves are now BG Certified per the DIN ES ISO 138491 PL e standard. These valves are intended to be used in Fail-safe Energy Isolation applications (non-Press Brake/Clutch). ROSS announces their 21 & 27 Series in-line valves are now Safety Integrity Level (SIL) Certified per the requirements of the IEC 61508 2010 standard. These valves are suitable for use in safety instrumented systems up to SIL 2 and may be used in a redundant structure up to SIL 3. 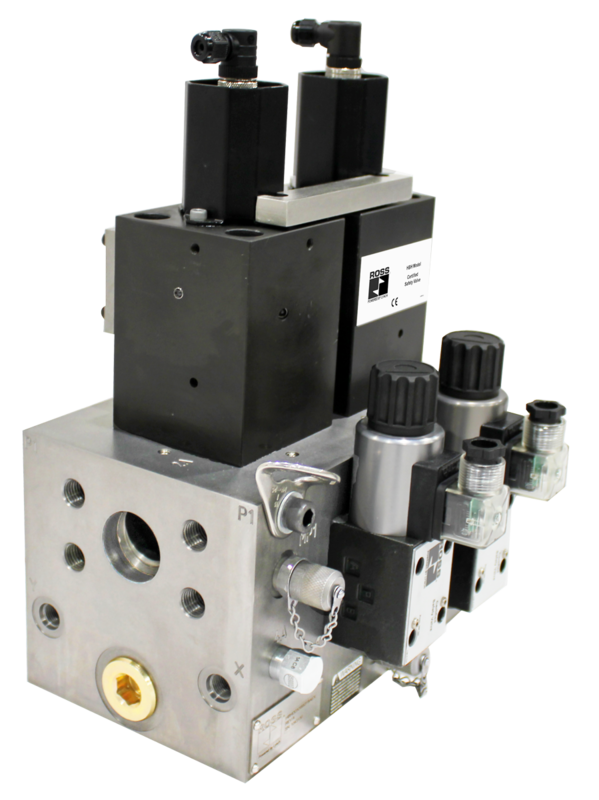 ROSS Controls, Troy MI, introduces an expansion to its existing Dale Valve Series for applications including Leak and Flow Testing, Vacuum Pick & Place, Packaging and Impregnation, Blow Molding & Thermoforming, and Isolating & Holding. 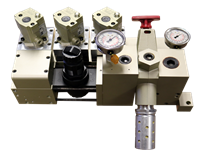 ROSS Controls, Troy MI, introduces a new and improved 1-1/4” pneumatic automatic counterbalance for large mechanical stamping presses. This new ROSS automatic counterbalance system can be integrated with your existing press controls to set and maintain the correct pressure for each die set, improving parts quality and extending the life of the press. This latest solution for the Metal Forming Press Industry meets all ANSI B11.1 requirements and is available in a variety of port threads, voltages and electrical connections.